Block on left is called Country Path. I really like how that blocks looks. I had to do a little tearing out, but once it was done, it was wow! 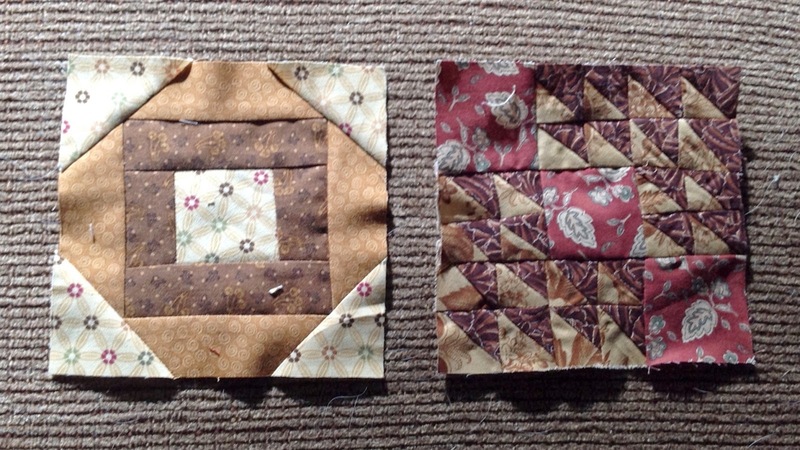 Block on the right is called Flock. Super easy to do. The Farmer's Wife is a wonderful quilt to work on. It is giving me opportunity to make several different blocks. I sometimes get in a rut and only do a certain block or work only on applique, which is my favorite quilting technique. Plus these patterns are stretching my abilities in working in a smaller dimension. My blocks are almost always 9 or 12 inch blocks. These 6 inch blocks make me want to try more miniature blocks. Six done. 105 to go. 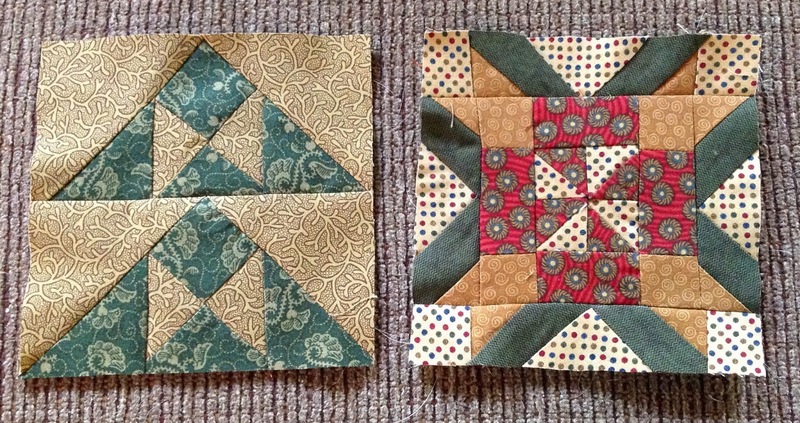 Yesterday I posted the first two blocks I had done from The Farmer's Wife book. One done well over a year ago and one yesterday. Last night I printed out several more paper templates. This morning I drew out on plastic the templates and then traced them on to fabric for four more blocks. Below is a picture of two of the blocks I was able to complete today. Who knows, I may even due the other two before the day is done. These are Hill and Valley and Silver Lake. The Hill and Valley was a fairly easy block to do. Silver Lake was a little more complicated. It had a lot of small pieces to work with. I love them both now they are finished. I now have four of 111 blocks completed. In September two years ago, my husband I traveled through San Juan Bautista CA. We used to live there and always stop on our way through. There is a restaurant called Dona Esther that has the best Mexican food I've ever tasted. Just down the street is a quilt store that is such fun. Of course I visit it whenever we are there, too. On this trip I bought a few things - okay, maybe more than a few. One of the things was a book called "The Farmer's Wife." It has 111block patterns on it, as well as a story about how they all come together. The blocks all measure 6 inch square. Not too bad, I thought. I will make a block a week. 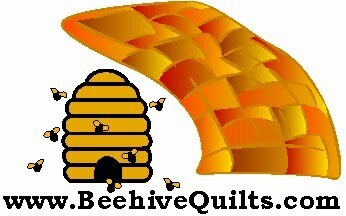 In less than two years I'll have this quilt done and ready to be quilted. I came home and started the first one in the book. It is called Cut Glass Dish. It took me three days to finish this block. Three days! So a year and a half has gone by and no other blocks are done. 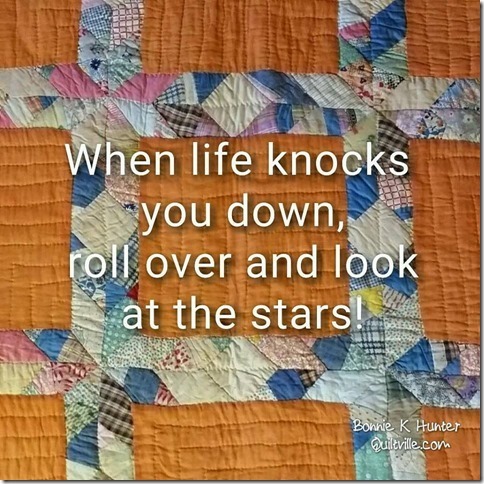 I keep that block pinned on the wall near my sewing machine to encourage me to get the book out and start on the next block. At this pace I will not live long enough to make 111 blocks! Today out it came. I printed the templates, made the plastic templates, cut the fabric and actually sewed the second of my 111 blocks. Now only 109 left to do. This one was easy. It is called Kitchen Woodbox. Maybe I will try another one tomorrow. Or next week. We will see. The one on the left is the Kitchen Woodbox. The one on the right is the one that gave me so much grief. It is the Cut Glass Dish. Those half square triangles are what gave me the problem. They are very small. The block barely came out at 6 inches. The one today I had room to spare. I am excited to try another one now. Oh oh. The next one is called Country Path. It has a lot of small squares in it, too. At least they aren't half square triangles. Keep tuned. I will post more blocks as I do them.